“Resident Evil 2”: Guns and gore and guts — oh my! 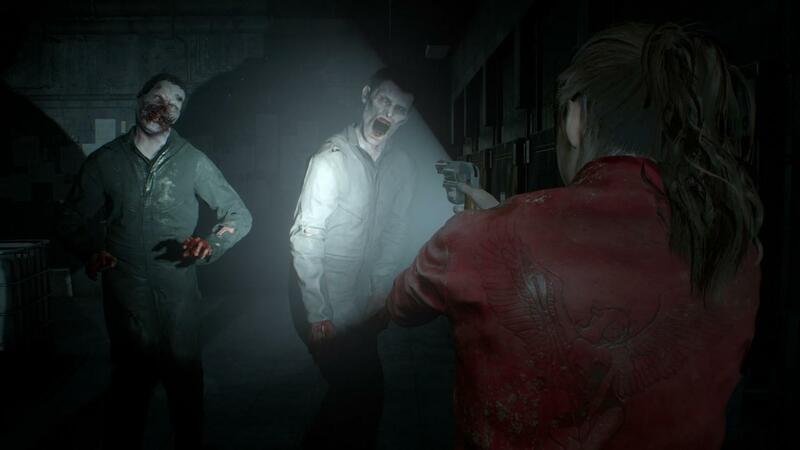 Capcom has started off 2019 with a strong remake of 1998’s “Resident Evil 2,” reanimating the classic survival horror entry with a modern face-lift and adding to the list of recent standouts in the single-player genre. The game released on Jan. 25 for PlayStation 4, Xbox One and PC. The remake of “Resident Evil 2” is every bit as faithful to the series as the original was and more, providing players with excellent presentation and tight gameplay. The nightmare is reborn 21 years later in stellar 4K resolution and 60 frames per second. Image courtesy of Capcom Co., Ltd.
For the uninitiated, “Resident Evil 2” follows Claire Redfield and Leon S. Kennedy as they fight to survive the night in Raccoon City during a zombie outbreak. Players will take control of either Claire or Leon, guiding them through dark alleys, a derelict police station and frightening monster-filled sewers. Along the way, the details of the outbreak will be uncovered. Back in 1996 a little zombie game called “Resident Evil” came out for the PlayStation and from its rotten corpse shell spawned a sequel, “Resident Evil 2,” cementing it as a staple series in the survival horror genre with a legacy of spin-offs, movies, comics and more sequels. The original 1998 game was highly praised for its sound design, atmosphere and graphics, despite weaknesses like poor voice-acting and wonky controls. The game used tank controls, meaning the player character moved like a tank. Up moved the player in the direction they faced, down reversed them and left and right rotated them. The camera perspective was fixed in each room making for frustrating gameplay. The remake remedies this mistake with smooth over-the-shoulder third person gameplay. 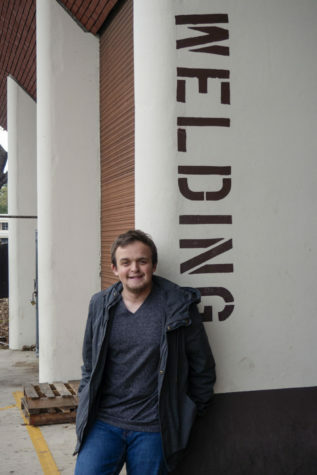 The graphics are also vastly improved with contemporary face-capturing technology. Claire and Leon look amazing, the sweat and grime practically rolling off Claire’s face during cutscenes. Zombies are disgustingly detailed; bits and pieces will fly off them as players riddle them with bullets. The game is terrifying and it is not for the faint of heart. There were several hair-raising jump scares. The eerie atmosphere alone was pulse-pounding as abandoned rooms were littered with ramshackle furniture, flickering lights and — of course — flesh-eating zombies. Claire and Leon experience diverging stories and although they go through the same areas, they take different paths, fight different enemies and acquire different weapons. Most notably, Claire receives a grenade launcher and Leon gets a shotgun. Players will have to solve a variety of puzzles as they traverse through blood-splattered environments, avoiding zombies when possible and other dangerous foes. Supplies and ammunition are scarce and healing items are often hard to come by in a pinch. Claire and Leon can only take so much punishment before they become vulnerable to a fatal and game-ending attack. The story itself is simplistic but achieving the objectives becomes increasingly convoluted. For example, once trapped inside a police station, players will have to guide their character through countless rooms and corridors looking for keys to unlock doors, electronic parts to fix circuit breakers and other various hindrances to bypass locked areas. There are so many locked doors, it’s simply ridiculous. New enemies will emerge as players progress through the game, the most horrible of them being “Lickers” — skinless, eyeless creatures with lethal claws and a long, prehensile tongue, heavily mutated by a virus. These things are panic-inducing as they move fast, crawl on walls and ceilings and lunge at players should they fail to escape behind a door. Perhaps the remake’s best inclusion is the prominence of the “T-103 Tyrant,” dubbed “Mr. X” by Claire Redfield. The Tyrant is a looming and large figure dressed in a black trench coat, resembling a man but clearly the result of some awful experimentation. Mr. X will appear during the story to relentlessly pursue Claire or Leon. His true purpose is revealed as the story progresses. He is no ordinary enemy, breaking the rules by which the zombies abide. 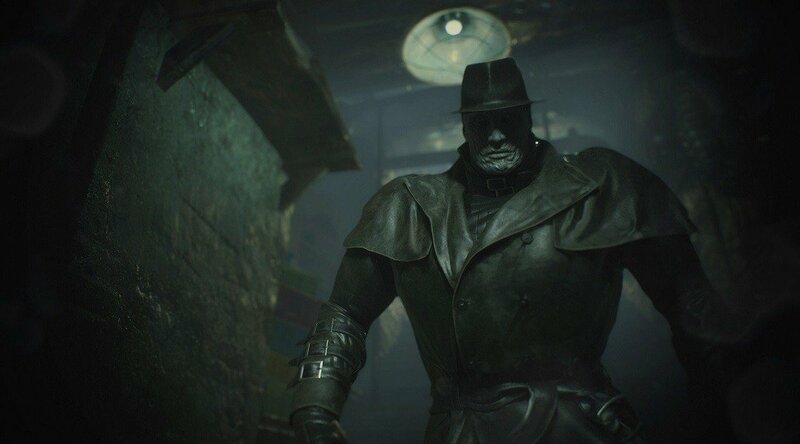 Mr. X can open doors, enter different areas of the map and will actively search for Claire or Leon as they race through the buildings looking for key items. His coming is signaled by thudding footsteps and blood-curdling music. Should he get close enough, he will hit the player. Very hard. The game initiates boss fights through cutscenes, letting players know things are about to get dicey. These encounters are incredibly stressful even with the extra resources littered throughout the boss room. Each story will take average players roughly eight to ten hours to complete with a host of trophies and achievements to unlock. “Resident Evil 2” is an amazing and unmissable game for both fans of the series and newcomers alike. The story is easy to follow, and the game has three difficulty settings providing ease or challenge. It has replayability with alternate endings and character costumes to unlock, should you feel brave enough to scramble through Raccoon City again and again.